Are you making full use of the educational advantages of 3D printing in your school? 3D printing is an exciting and innovative technology, with multiple creative and practical applications, but the take up of 3D printing in schools is often limited, pedestrian or non existent! So, why is 3D printing adoption so slow? One of the main reasons is the perceived expense, not only of buying the equipment but also integrating it into the school and training staff how to use the machinery to its full potential. Though this is becoming less of a problem now as 3D printing technology becomes more readily available at lower prices and with a full range of courses and training in technology and education becoming accessible. Another major reason for the sparse use of 3D printing technology in schools is due to a lack of understanding of the ways this technology can be used to benefit learning for students and enhance the overall education system. This, is therefore, what we would like to address, we want to dispel the myths that 3D printing is simply a luxury item and show you why your school needs to have this technology. New learning materials: often you may want new teaching materials but may not be able to afford to budget for them. Now these resources can be made using a 3D printer, saving money on your department budget. Printing your own learning materials is not only usually cheaper, but it is almost always quicker too. Improved learning methods: even though students are traditionally taught through books and theory, kinaesthetic learners prefer to learn through using aids and materials. 3D printing allows you to bring any subject matter to life as a physical aid to engage all of your students, for a longer period of time, increasing their learning and improving their problem solving and critical thinking capabilities. Helping students to improve: using this technology in schools can help students to improve in their area. 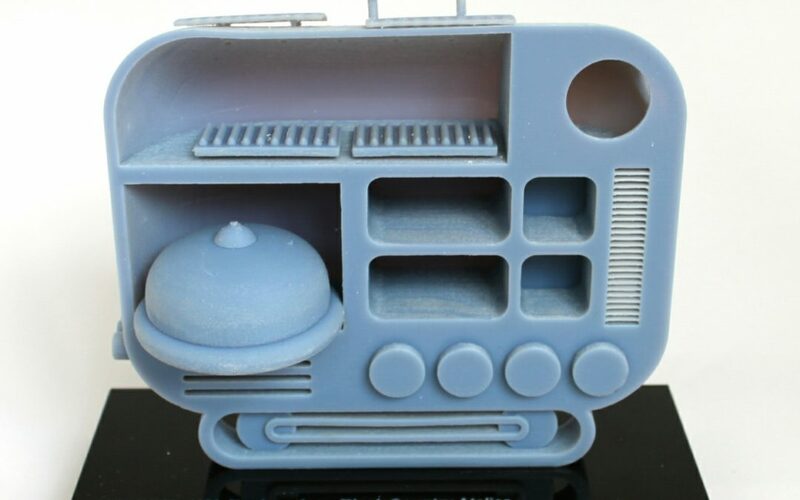 For example, a student designing something can make a prototype to analyse and enhance upon, or a student wanting to bake a pudding in a unique design can create their own cake mould. 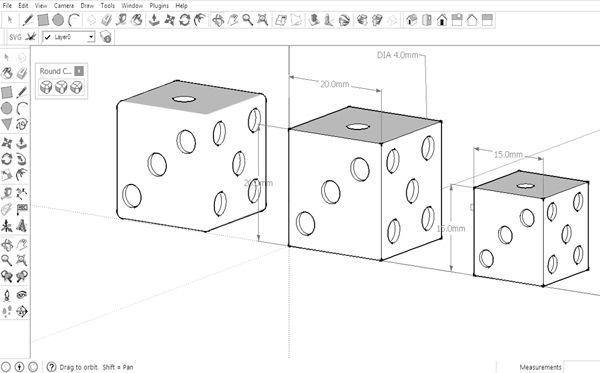 Teachers can 3D print props for the classroom which are quick to make and affordable such as these dice. Students can use these props immediately in the classroom and apply maths concepts such as understanding 3D views, plans, elevations, probability, in their creation too. Many public museums are 3D scanning artefacts from its collections and making the data freely available for download. 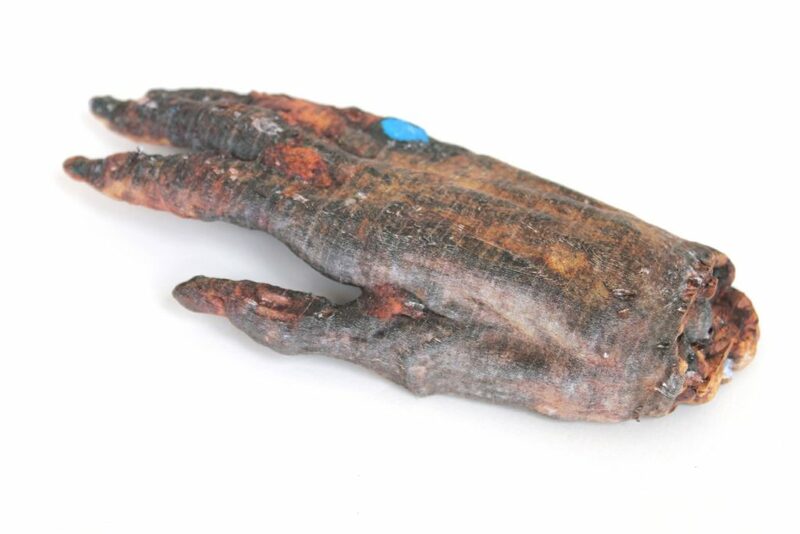 Schools can 3D print objects like this Mummy hand from the Eton Myers collection. Having a physical artefact increases student engagement and encourages discussion. Students can study precious objects up close, discovering details not possible through photographs or books alone. Maths: some students have problems visualising numbers, mathematical models, diagrams and graphs, which is where 3D printing has massive benefits as it enables students to see these through a physical representation, something tangible that they can see and touch. Geography: in earlier years’ 3D printing in schools can be used to create interactive maps and help to teach students about the work. In later years this technology can be used to bring to life geological forms on a smaller scale, helping children to understand the more complicated aspects of the subject. History: most schools can’t afford to buy a dinosaur bone or maybe even a replica of one, but they can make one themselves. In fact, they can make any artefact they like helping to bring history classes to life, making them more realistic to students who will gain a deeper understanding and appreciation for this historical event. 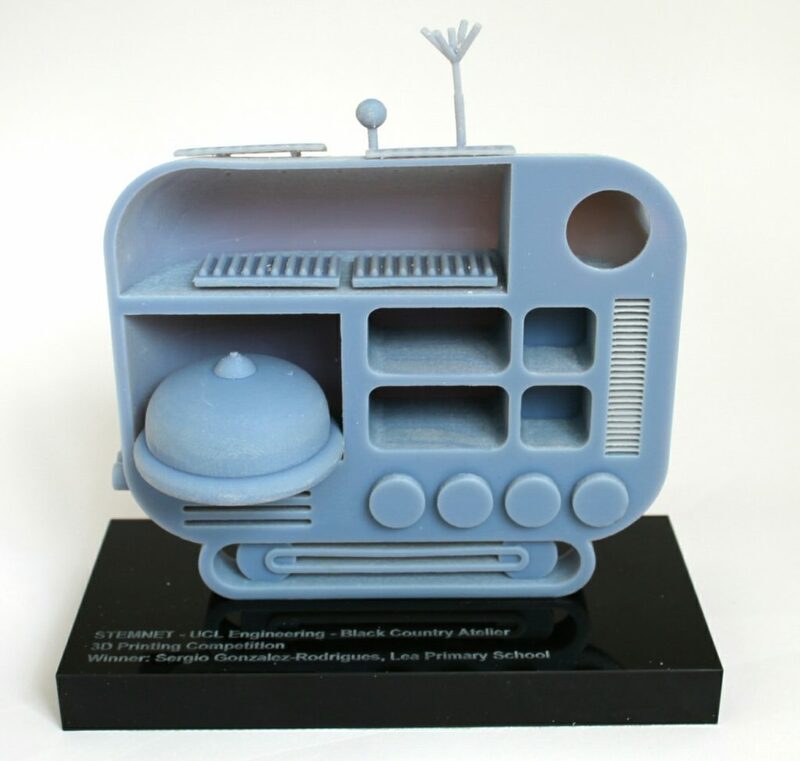 3D printing allow students to bring ideas to life, going from a sketch on paper to a physical model. 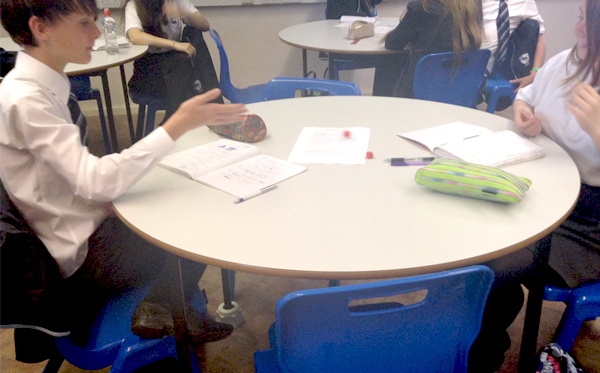 Students here entered a competition to design a Mars module, organised by BCA, STEMnet and UCL Engineering Department. 3D printing is the future, children need to be taught about it and we need to invest more in bringing this technology in schools. Technology and education are both ever-changing professions, to move forward in your ability to educate, you need to move forward in the technology you use.